Samples of Marketing & Sale Mind Maps and Diagrams (Sales Pyramid, Target, Marketing Scope Diagrams, Marketing Mix Diagram, Product Position Map, Products Comparison Chart, Market Environment Analysis, Feature Comparison Chart, Marketing Step Chart, Timeline, SWOT, Boston Growth Matrix, Ansoff Product-Market Growth Matrix) are created with ConceptDraw MINDMAP v10 mind mapping software and ConceptDraw DIAGRAM diagramming and vector drawing software enhanced with Marketing and Social Media Response solutions from ConceptDraw Solution Park. ConceptDraw DIAGRAM provides export of vector graphic multipage documents into multiple file formats: vector graphics (SVG, EMF, EPS), bitmap graphics (PNG, JPEG, GIF, BMP, TIFF), web documents (HTML, PDF), PowerPoint presentations (PPT), Adobe Flash (SWF). Marketing Mind Map sample: Marketing research project. This example is created using ConceptDraw MINDMAP mind mapping software enhanced with Marketing solution from ConceptDraw Solution Park. 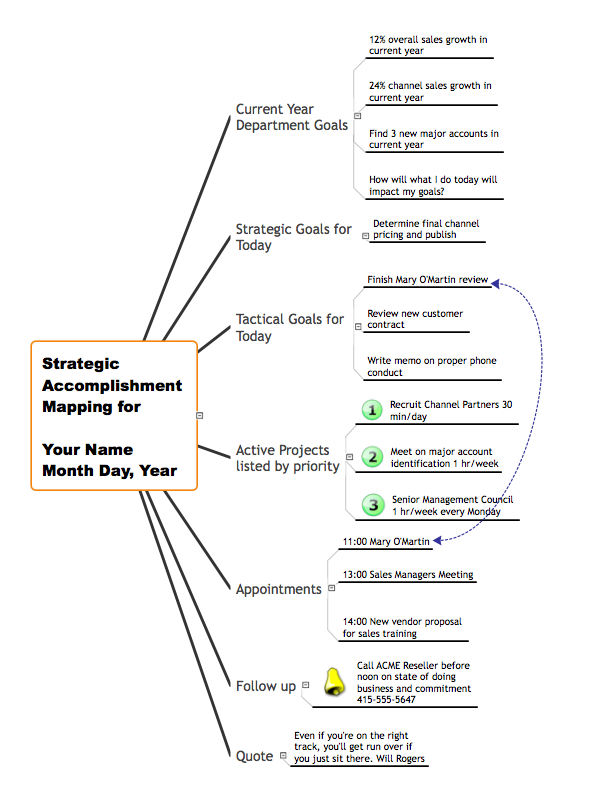 Marketing Mind Map sample: Strategic accomplishment mapping. This example is created with ConceptDraw MINDMAP mind mapping software enhanced with Marketing solution from ConceptDraw Solution Park. 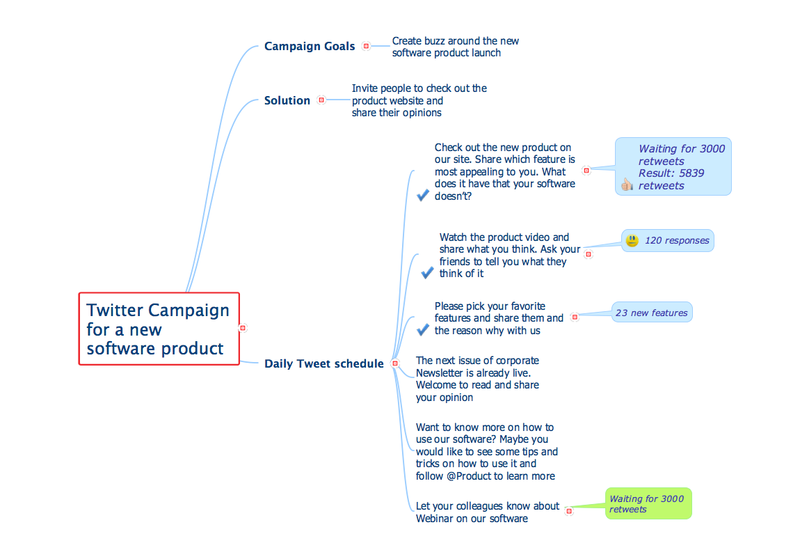 Mind Tweet solution sample mind map: Twitter compaign for new software product. 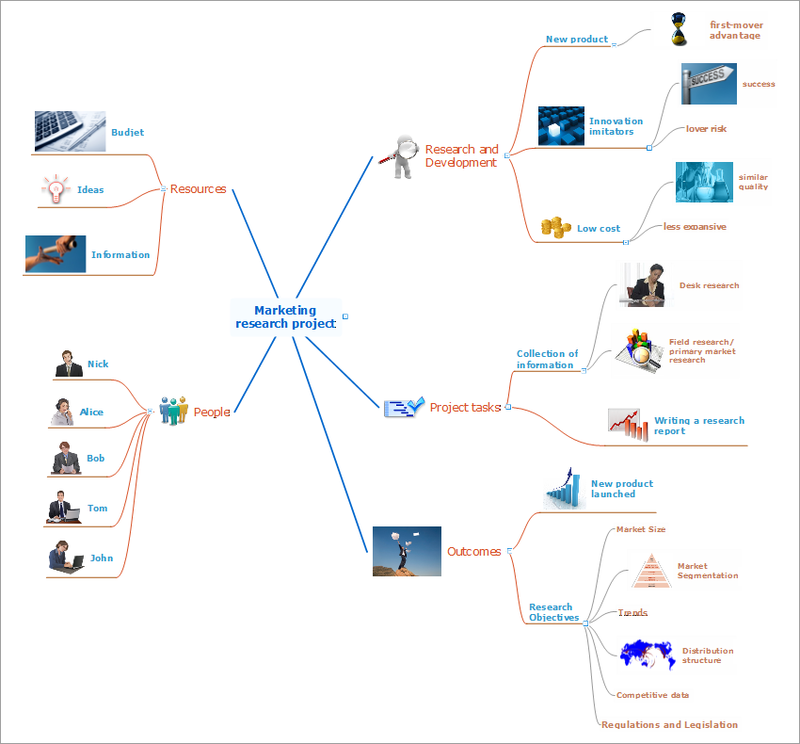 This mind map is created with ConceptDraw MINDMAP mind mapping software enhanced with Mind Tweet solution from ConceptDraw Solution Park. 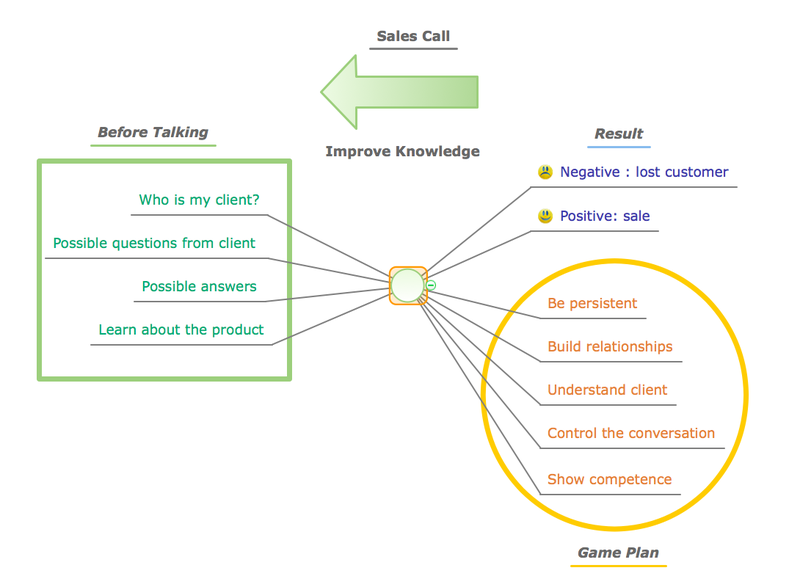 Marketing Mind Map sample: Sales Call.